Born in Fribourg (Switzerland), I spend my whole childhood in the same area. I went to local public schools. I was more than happy to learn a lot of things. During my free time, I enjoyed reading tons of books and comics, knitting dolls and plush animals. I sometimes rode my bicycle but not too far from home. The picture shows me (left with the blue and white shirt) with my sister (green shirt) and brother (white shirt). We were playing at having a tea party. I was probably 2 or 3 years old. When I started my cursus in Economics at the University of Fribourg in 1993, I met my future husband in 1994 in that university and got graduated in 1998. I did an internship in a tech transfer agency before starting a real job in Geneva. I stayed over 10 years working in Geneva and then moved to Lausanne in a new domain. Check my professional experiences page for more details. 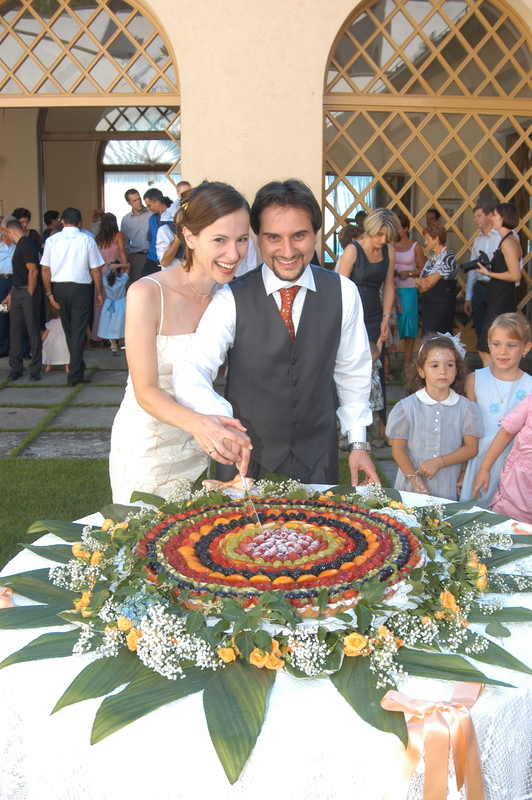 I got married with my husband in 2004, 10 years after we met… We have a girl named Alessia, born in 2006. We also built a house that we later sold when real estate prices and environment were friendly. Today, I’m really happy with my life and family. I have several hobbies like running, skiing, cooking, reading and last but not least my blog (which you are currently reading! ).